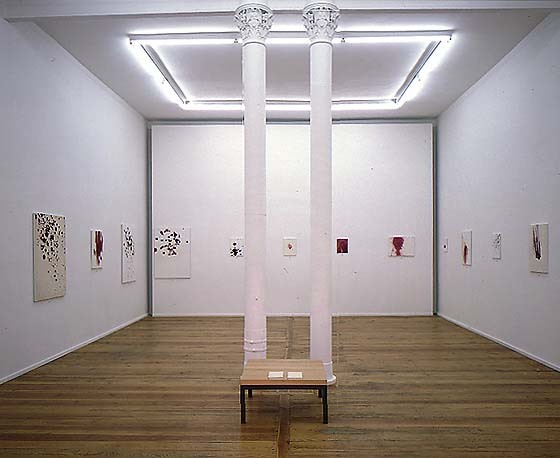 one of three installation views from one-man show. From left to right: "TEST 93-104". On the table: "Etwas über L./Something about L."